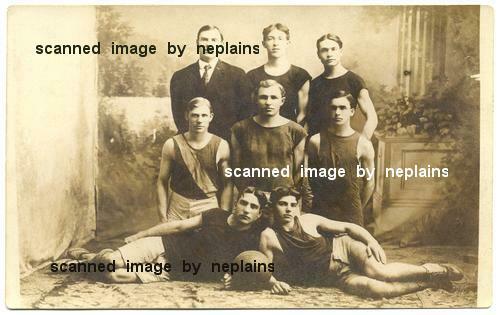 Studio photo of seven basketball players and a coach. Location is unknown; photo was found with other items from southeast Nebraska and northeast Kansas. Minor corner wear. Shallow crease at lower right corner tip.